We all have sentimental mementos we hang onto: old baby toys, first Communion gowns, elementary school drawings. However, there comes a time when hanging onto spare things becomes too much. While hoarding usually starts out harmless, it can become a potential hazard for many people, especially the elderly in our lives. It’s not uncommon for our parents, grandparents, and other loved ones to suffer from hoarding, sometimes called Diogenes syndrome. Aside from being a serious mental illness, excess clutter can become a fatal hazard for many seniors. In the event of a fire, it can be difficult for rescue services to navigate through a mess of items. In addition to this, floors can collapse under the weight of hoarded objects, often trapping or falling on top of homeowners. While senior hoarding cleanup can be a difficult subject to talk to them about, it’s critical for your senior’s health in more ways than one. Before having that conversation, plan out how exactly you and your senior can tackle the problem together. These five tips can help. It’s easy to look at the piles and piles of litter scattered around the family home and see nothing but problems. For those without issues concerning hoarding, it’s difficult to understand how that state of affairs happened. However, keep in mind that senior hoarding cleanup is a long, problematic process. Your senior may even need professional counseling throughout the process, as hoarding sometimes manifests beneath mental illness. Despite the difficulties you may experience with cleanup, your hoarder is probably being impacted more than you can imagine. 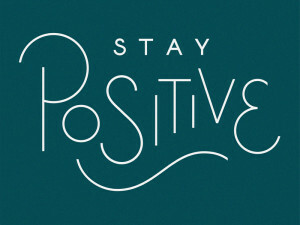 It’s important that you stay positive and supportive throughout the whole process. Remind your loved one that you’re proud of them and do your best to help build their coping mechanisms; soon, they’ll be able to envision their home without the clutter. Have a plan for cleanup. The amount of clutter in your loved one’s home may be overwhelming to even think about cleaning, but going into the situation with a clear idea of what needs to be done can make everyone involved feel a little bit better. Let your senior know what items need to be taken care of; highlight the fact that those items are still going to be “safe”. Even if these objects may seem useless, your senior has probably grown very attached to them. Make sure they know that they will still be secure and safe without these items. Try not to criticize or attack your senior. Chances are, they may already feel defeated by the state of their home. Adding onto these feelings won’t benefit either of you in this situation. Items you consider useless have value to your hoarder, meaning that being asked to get rid of these items is a significant factor in their lives. Instead of attacking your senior, fight the hoarding problem as a team. Don’t move or remove items without permission. When a hoarding situation has escalated to where cleanup services are needed, it is likely that the hoarder already feels as though they are powerless. Moving items without their permission will only make these feelings worse; they may even feel as though they have lost total independence. Throughout the cleanup process, you need to make sure that your hoarder feels as though they are regaining control of their lives. By knowing exactly how their home is being cleared, your loved one will learn to regain control and prevent future hoarding attempts. Teach your senior the consequences of hoarding. When hoarding situations escalate, there are more than just inconvenient consequences. Aside from the possibility of being in a position where fire and rescue services aren’t able to reach your loved one, a cluttered home may be condemned. When a home is condemned, it is unlivable until cleared. In this situation, your hoarder’s home may be cleared against his or her will, resulting in emotional trauma. Your senior’s cooperation in cleanup situations is crucial to avoid these consequences. When things pile up, everything becomes more difficult for everyone involved. Make sure your senior is aware of these consequences ahead of time; it may help to prevent future hoarding attempts. Help your senior take control of his or her life by utilizing gentle encouragement and positivity throughout the cleanup process. 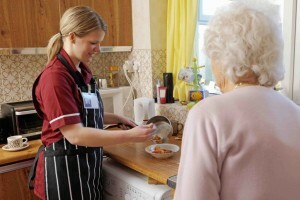 Starting the cleanup project will help improve your senior’s quality of life and will improve your peace of mind. Knowing your loved one is safe is just a cleanup process away. Geriatric Care Managers are experienced in elderly hoarding problems; they can assist you in finding counseling, cleaning, and any other services necessary in the industry. Getting rid of a hoarding problem is never easy, but the right caretakers can make all the difference for both you and your loved one. If you think your senior could benefit from geriatric care, find out more important facts about choosing an extended care plan.